Simpletec Automatics Pvt. 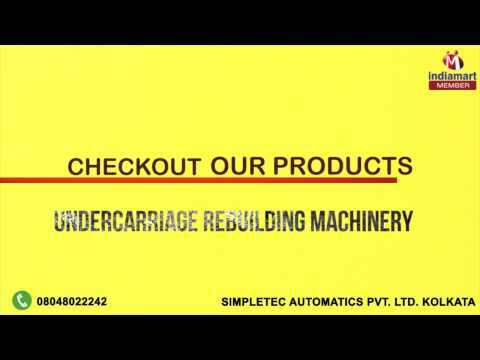 Ltd. manufacturing, exporting and supplier organization specializing in the production of Track Building Machines. Our products including Undercarriage Rebuilding Machinery, Heat Treatment Machinery and Hydraulic Marine Cranes have earned us a reputation of trust and reliability in the market. We provide our products to each client with customized benefits to their fitting requirements. Our client servicing division ensures constant communication with each client to understand their needs better and deliver them with solutions that fit within their economical expectations. We value each client of ours and make exceptional efforts to retain them through concentrated efforts. We possess a manufacturing division with exceptional machinery and technological advantages which aide us in producing our exceptional products on a regular basis. We package all our finished products and load them in large containment units within our warehousing division to facilitate easy transportation.